Escaping one of our three rooms requires all the elements of good teamwork. During an escape game, leaders emerge, communication skills are tested, and team members bond. 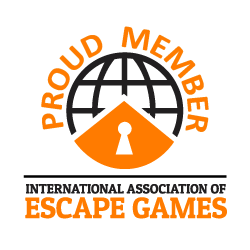 That’s why when iHeartMedia noticed their programming and sales staff could use some team building, they came to America’s Escape Game. The departments split up into three teams of seven and tried to escape Crisis at 1600, Lost Tomb of Monthu, and Pandemic. Only one team escaped, which is impressive since escape rates are only 9-16 percent. Out of the three teams, one group impressively escaped since our escape rooms have an average 9-16 percent escape rate. The other two teams, however, were close to escaping but had to test various strategies. Listen to the full stream of the Xl 106.7 team talking about their experience at America’s Escape Game.